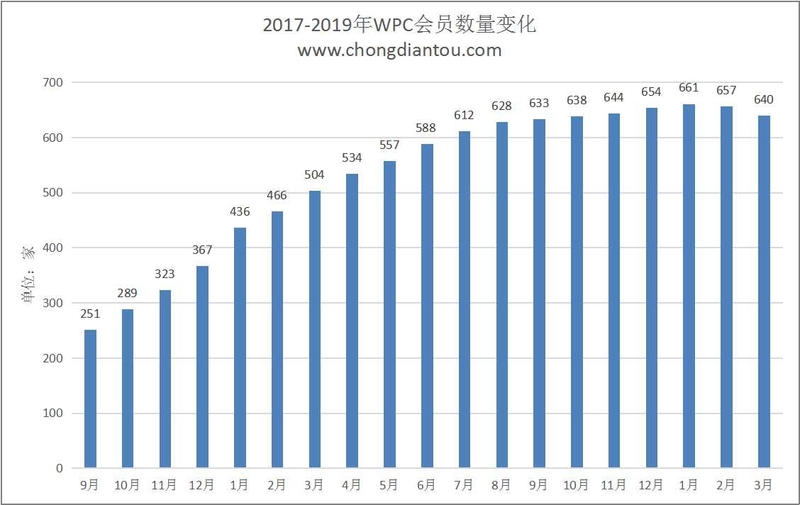 WPC无线充电联盟公布2019年3月Qi会员名单：640家 - 无线充电 - 充电头网论坛 - Powered by Discuz! Advanced Wireless & Antenna INC.
Anecoo Technology Holding Co. Ltd.
Anhui Lanpeng Micro Electric Tech Com. Ltd.
Beijing Fuelite Technology Co., Ltd.
Beijing Miiiw Technology Co., Ltd.
Beijing Yucheng Technology Co., Ltd.
Belkin Electronics (Changzhou) Co., Ltd.
CCA Designing & Manufacturing Ltd.
Changchun Liming Science and Technology Development Co., Ltd.
CHD Electronics (Jingdezhen) Co., Ltd.
China Ruilong Technology Co., Ltd.
Copo Microelectronics (Nanjing) Co., Ltd.
CYD Electronics (Shenzhen) Co., Ltd.
Desay Infor Technology Co., Ltd.
Ding RongXin Electronic and Technology Co., Ltd.
Dong Guan Mercury Home Appliance Products Ltd.
Dong Guan Superior Communications Co., Ltd.
Dong Guan Ya Li Electric Appliance Co., Ltd.
Dongguan City Huge Sun Lighting Co., Ltd.
Dongguan Aohai Technology Co., Ltd.
Dongguan Arun Industrial Co. Ltd.
Dongguan Baolaipo Plastic Electronics Co., Ltd.
Dongguan City Yongxin Da Plastic Gift Co. Ltd.
Dongguan Fulun Electronic Co., Ltd.
Dongguan Guancheng Precision Plastic Manufacturing Co., Ltd.
Dongguan Hongke Testing Service Co., Ltd.
Dongguan Huerich Photo-Electronic Technology Co., Ltd.
Dongguan HYX Industrial Co., Ltd.
Dongguan IRice Electronics Development Co., Ltd.
DongGuan Kechenda Electronics Technology Co., Ltd.
Dongguan Kington Electronic Technology Co. Ltd.
Dongguan Leaper formerly Shenzhen Global Electronic Technology Co., Ltd.
Dongguan Mingji Electronics Technology Group Co., Ltd.
DongGuan NVT Technology Co., Ltd.
Dongguan Ronghe Electronic Co., Ltd.
Dongguan Shirui Battery Co., Ltd.
Dongguan Superduper Group Co., Ltd.
Dongguan Turnmax Electronic Co., Ltd.
Dongguan Tyjin Electronics Co., Ltd.
Dongguan Wiiki-Tech Electronic Co., Ltd.
Dongguan Zhongzhenglihe Electronics Co., Ltd.
Dongguan Zofine Industrial Co., Ltd.
E-Lan Car Components Manufacture (Pinghu) Co., Ltd.
Ecom International (HK) Co., Inc.
GCteq Wireless (Shenzhen) Co. Ltd.
Guangdong Dongguan Fuze Electronics Co., Ltd.
Guangdong Gadmei Intelligent Technology Co., Ltd.
Guangdong Zhuangzheng Electronic Technology Corp. Ltd.
GuangZhou BenZhen Electronics Co., Ltd.
Guangzhou Hebit Technology Co., Ltd.
Guangzhou Roiskin Electrical Technology Co., Ltd.
GuanYu (Shenzhen) Electronic Technology Co., Ltd.
Hangtai Industrial International Co., Ltd.
Hangzhou Lin'An Techrun Electronics Co., Ltd.
Heilongjiang TYW Electronics Co., Ltd.
Hui Zhou JIMI Wireless Charging Technology Co., Ltd.
Huizhou Artsun Industrial Co., Ltd.
Huizhou BYD Electronic Co. Ltd.
Huizhou Delcham Industrial Co., Ltd.
Hunan Newsmy IOV Technology Co., Ltd.
Inno Vision International Holdings Ltd. INPUT Technology (Shenzhen) Co., Ltd.
Jiangyin Wonder Elecronic Co. Ltd.
JoinSoon electronics MFG Co, Ltd.
Len Cheng Electronics Co., Ltd.
LeTouch (Shenzhen) Electronics Co., Ltd.
Ling Mei Te Lighting Co., Ltd.
Lucent Trans Electronics Co., Ltd.
Med-El Elektromedizinische Gerate Gesellschaft m.b.H. Mianyang High-Tech Jingweida Scientific Co., Ltd.
MKDWELL (Jiaxing) Electronics Technology Co., Ltd.
MUV Technology (Shenzhen) Co., Ltd.
Nanchang Innotech Technology Co., Ltd.
NUEX Technology (Shenzhen) Co., Ltd.
Power System Electronic Technology Co., Ltd.
RITS Electronics (Shenzhen) Co., Ltd.
Shanghai Chushan Technology Co., Ltd.
Shanghai LinePrinting Materials Co., Ltd.
Shanghai Zhulu Electronic Technology Co., Ltd.
Shaoxing Prolux Lighting Co., Ltd.
Shenzhen Ailaika Electronic Technology Co., Ltd.
Shenzhen Anhaoruihe Electronics Co., Ltd.
Shenzhen Annaijia Electronics Co., Ltd.
Shenzhen Aodehong Electronic Technology Co., Ltd.
Shenzhen Applessun Electronic Co., Ltd.
Shenzhen Auguste Electronic Technology Co., Ltd.
Shenzhen AZT Technology Co., Ltd.
Shenzhen Baijunda Electronic Co., Ltd.
Shenzhen Baojia Battery Technology Co. Ltd.
Shenzhen Bee Electronic Co., Ltd.
Shenzhen Benarlee Technology Co., Ltd.
Shenzhen Besiter Power Bank Co. Ltd.
Shenzhen Besky Electronic Technology Co., Ltd.
Shenzhen Bestart Technology Co., Ltd.
Shenzhen Blande Technology Co., Ltd.
Shenzhen Blue Times Technology Co., Ltd.
Shenzhen BNY Industrial Co., Ltd.
Shenzhen Cager Digital Technology Co., Ltd.
Shenzhen Chipsvision Microelectronics Co. Ltd.
Shenzhen Clever Bright IMP. & EXP. Co. Ltd.
ShenZhen Cstar Electronic Tech. Co., Ltd.
Shenzhen DAK Technology Co., Ltd.
Shenzhen Dingshang Times Technology Co., Ltd.
Shenzhen Dingtaizhiyun SCI-TECH CO. LTD.
Shenzhen DOKE Electronic Co., Ltd.
Shenzhen DongShengXuRi Electronic Technology Co., Ltd.
Shenzhen DOTOP Electronics Co., Ltd.
Shenzhen ECOOS Energy Technology Co., Ltd.
Shenzhen EPQI Technology Co., Ltd.
Shenzhen Esorun Technology Co., Ltd.
Shenzhen Everplus Technology Co., Ltd.
Shenzhen Fangji Technology Co., Ltd.
Shenzhen Fangxin Technology Co., Ltd.
Shenzhen Fenergy Technology Co., Ltd.
Shenzhen Firstar Battery Co., Ltd.
Shenzhen Funxim Innovation Technology Co., Ltd.
Shenzhen Future Charger Technology Co. Ltd.
Shenzhen GCELL Electronics Co., Ltd.
Shenzhen Goodwin Technology Co., Ltd.
Shenzhen Ground Enterprises Co., Ltd.
Shenzhen Hali-Power Industrial Co., Ltd.
Shenzhen HHSheng Technology Co., Ltd.
Shenzhen Hongzhipu Technology Co., Ltd.
Shenzhen Hopewin Electronic Material Co., Ltd.
Shenzhen Horn Audio Co., Ltd.
Shenzhen Huani Electronics Co., Ltd.
Shenzhen Huasheng General Technology Co., Ltd.
Shenzhen HuaZeng Technology Co., Ltd.
Shenzhen Huier Wireless Technology Co., Ltd.
Shenzhen iBlue Area Technical Services Co., Ltd.
Shenzhen IDMIX Innovative Products Co., Ltd.
Shenzhen Injoinic Technology Co., Ltd.
Shenzhen itian Technology Co., Ltd.
Shenzhen Jingzhi Precision Technology Co., Ltd.
Shenzhen Jinkewei Technology Co., Ltd.
ShenZhen Kafulle Electronics Co., Ltd.
Shenzhen Kaixinghui Technology Co., Ltd.
Shenzhen Kfly Electronics Co., Ltd.
Shenzhen Kome Technology Co., Ltd.
Shenzhen Lambon Electronic Technology Co., Ltd.
Shenzhen Lan Neng Shi Tong Electronics Co., Ltd.
Shenzhen Lanbo Technology Co. Ltd.
Shenzhen Lingyi Innovation Tech Co., Ltd.
Shenzhen Meskey Technology Co., Ltd.
Shenzhen MHLL Technology Co., Ltd.
Shenzhen Minsuo Industrial Co., Ltd.
Shenzhen MOPO Electronic Tech. Co., Ltd.
Shenzhen Nillkin Technology Co., Ltd.
Shenzhen Nulike Technology Co., Ltd.
Shenzhen Nuoyixin Electronics Co., Ltd.
Shenzhen Pilot Technology Co. Ltd.
Shenzhen Powerqi Technology Co. Ltd.
Shenzhen PYS Industrial Co., Ltd.
Shenzhen Qianhai Badun Acoustics Technology Co., Ltd.
Shenzhen Qianhai Patuoxun Network & Technology Co., Ltd.
Shenzhen Qicaiguohong Technology Co., Ltd.
Shenzhen Reflying Electronic Co., Ltd.
Shenzhen Rewoda Electronics Co., Ltd.
Shenzhen Romoss Technology Co., Ltd.
Shenzhen Senkaixin Technology Co., Ltd.
Shenzhen Seventh Heaven Technology Co., Ltd.
ShenZhen ShengHaiNa Technology Co., Ltd.
ShenZhen Shi BaiLinNiao Technology Co., Ltd.
Shenzhen Shouxin Tongda Electronics Co., Ltd.
ShenZhen ShuoYu Technology Co., Ltd.
Shenzhen Sinotek Technology Co., Ltd.
Shenzhen Sinpakey Electronic Co., Ltd.
Shenzhen Soling Communication Technology Co., Ltd.
Shenzhen Sunlight Electronic Technology Co., Ltd.
Shenzhen Superposition Technology Co., Ltd.
Shenzhen Tengsai Technology Co., Ltd.
Shenzhen Tianjuntong Technology Co., Ltd.
Shenzhen Tinmei Industrial Co., Ltd.
Shenzhen TTK Technology Co., Ltd.
Shenzhen TWIS Technology Co., Ltd.
Shenzhen Uniwins Technology Co., Ltd.
Shenzhen Utopia Originality Technology Co., Ltd.
Shenzhen Vetac Electronics Technology Co., Ltd.
Shenzhen VLG Wireless Technology Co., Ltd.
Shenzhen Weibo New Intelligent Technology Co., Ltd.
Shenzhen Whakin Innovation Technology Co., Ltd.
Shenzhen Wintop Electronics Co., Ltd.
Shenzhen Wireless Technology Co., Ltd.
Shenzhen WOKE Fast Charge Technology Co., Ltd.
Shenzhen Wuwei Intelligent Technology Co., Ltd.
Shenzhen Xinkechuang Plastic Products Ltd.
Shenzhen Xuenair Technology Co., Ltd.
Shenzhen Yaoyuan Technology Co., Ltd.
Shenzhen Yifang Digital Technology Co., Ltd.
Shenzhen Yongfengwang Techology Co., Ltd.
Shenzhen Yspring Technology Co., Ltd.
Shenzhenshi Zehao Technology Co., Ltd.
Southchip Semiconductor Technology (Shanghai) Co., Ltd.
Sunstar Digi (HK) Co. Ltd.
Superworld Electronics (S) Pte Ltd.
Taishan Anwell Electronic Products Co., Ltd.
TAMA Electronics (Dongguan) Co., Ltd.
Telephone Est Hong Kong Co., Ltd. 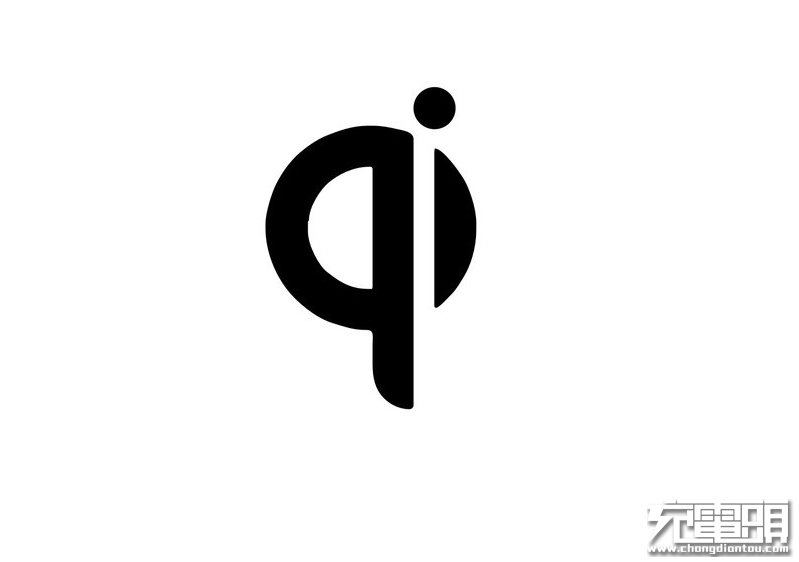 Ten Pao Electronics (Huizhou) Co., Ltd. Tone Vision Technology Co., Ltd.
Wuxi China Resources Semico Co. Ltd.
Xiamen Comfort Science & Technology Group Co., Ltd.
Xiamen Newyea Micro-electronics Technology Co., Ltd.
Zhe Jiang Fousine Science & Technology Co. Ltd.
Zhejiang TOPMB Electrical Lighting Co., Ltd.
Zhejiang Yankon Mega Lighting Co., Ltd.
Zhong Shan City Richsound Electronic Industrial Ltd.
Zhongshan Kingrong Electronics Co., Ltd.
Zonecharge (Shenzhen) Wireless Power Technology Co., Ltd.